What Are My Chances Of Getting An Australian Visa? 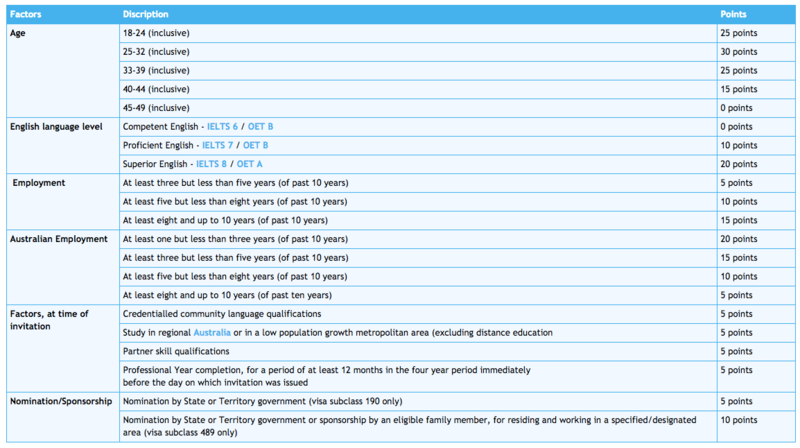 So you’ve got an occupation on one of the Australian Skilled Occupations Lists. You have registered an Expression Of Interest (EOI) with Skillselect and you’re now left waiting to see if you’ll get that sought after an invitation to apply for an Australian Visa. As a skilled migrant, you’re probably already familiar with the Australian points test and the requirement to reach a certain points threshold to qualify for migration under your occupation. However beyond that. How long should you be expected to wait for an invitation to apply and what are your overall chances of getting an Australian Visa? We get asked this question quite a lot here at Getting Down Under and to be honest, it’s a pretty difficult question to answer because there are so many dependencies to being successful. Sure, you have a confirmed occupation in demand, you have reached the points threshold and English language requirement, however, there is something that’s really difficult to take account for, and that’s the other applicants. You see, once you have registered an Expression Of Interest with SkillSelect, you are automatically ranked against the other Australian visa applicants who have also applied. Your ranking is based on the information you provide within your EOI. EOIs are ranked using points achieved on the skilled migration points test. A prescribed pass mark will be set as the minimum points score required for each visa category. Where you have the same number of points as another applicant, then this equally scoring EOIs will be separated by the time of submission with earlier submission dates ranking more highly. Now let’s look at a few scenarios to see how this would work in practice. So in the above scenario, you have qualified for an Australian skilled Visa with 65 points. You have been added to the SkillSelect queue for your occupation. As you have qualified with more than the minimum number of points for this occupation (in this example the minimum is 60 points), you will receive an application before those applicants who have qualified with only 60 points. The small number of applicants who have qualified with more than 65 points or those who have the same number of points as you but registered their EOI before you will be invited first. In this second scenario, with 65 points you have joined your fellow applicants at the front of the SkillSelect queue. In this final scenario, you’ve completed your EOI and feel pretty good about yourself. Despite only needing 60 points to qualify for your application, you’ve managed to score 65 points. What you don’t know, however, is there is a large number of applicants who have been waiting for an invitation with even more points. In this instance, even though you have qualified with a high points score. The fact that there are applicants with even more points means that you will not receive an invitation until these applicants receive an invitation first. After submitting your EOI, you can view your point score; however, because your ranking is continuously changing as new EOI’s are submitted and invitations issued, you will not see your ranking. Your EOI will stay in SkillSelect for a maximum of two years. At any time during the validity of your EOI, you can update your details to reflect any additional qualifications or experience you might have obtained. This might increase your likelihood of being invited or an employer contacting you. After each invitation round for the independent and skilled regional (provisional) sponsored visas, the Australian government published via the SkillSelect website, the lowest points test mark for which an EOI received an invitation. Have any questions? Post these in our comments below or pop on over to our Australian Migration forums and we’ll look to help where we can. Very well presented article. Thanks Mark, makes a lot of sense now. I have completed my master of professional accounting, professional year and I also have secured 79+ in pte. The problem now is that accounting is N/A in the invitation rounds. What should I do? Should I wait for June/July 2018 and there are rumours that accounting will be eliminated soon. Hi Waqar, you can lodge an EOI at any time so I would encourage you to apply. At the end of the day, the alternative is do nothing which won’t get you any closer to a new life down under. My husband is applying for 189 and his occupation (internal auditor) is on mtlssl, can he earn points on spouse assesment if my occupation (chemist) is not eligeble for 189 visa? I am Sohail from Pakistan. I have master in Business Administrations (HR), i have 8 years experience in finance and HR, with iNGO (MSF). Can i get Australia visa. Hi Mark, I have my brother in law his turning 45 in March any chance can apply 189? I am looking to apply for 189 class visa with 70points in the month of March 2018 for 2017-18. I am worried by the time the category of ICT Business Analyst might be filled as it has been the trend every year. Should I wait for July 18 to put forward my Expression of Interest? Hi Mark, hope you are well. When submitting documents for relevant skilled employment assessment. Can you please advise if I have to have the Statutory Declaration / Affidavit by a direct supervisor notarised / witnessed? If yes, who can witnessed / authorised the document? Thank you in advance. Best regards. Hi Ceejay, with this one I would advise you to check with the assessment body as the people who can authorise/witness may differ depending on the assessing bodies requirements. Thank you so much, Mark. The link is very useful. Thank you for your regard . I’m Abbas from Iran , if you remember me . I have another question dear Mark . Could you tell me if , I need to write a CDR letter ? Hi Abbas, A Competency Demonstration Report (CDR) is required by Engineers Australia to assess the competency of an engineer with overseas qualifications not covered by the Washington Accord. If your qualifications are not covered then yes, you will need to write a CDR. I’m Abbas and I’m from Iran.I’m civil engineer and I’ve been working for more than 7 years. I’m going to register for 189 visa , but I don’t know how can I register for and which documents are needed? Which documents are needed for assessment and how can I do this? I’m looking forward for your help. Hi Abbas. ‘Engineers Australia’ are the assessing authority for Engineers looking to emigrate to Australia. As far as assessment authorities go, they have a lot of comprehensive material available on their website. To save me simply posting all the info, pop on over to https://www.engineersaustralia.org.au/For-Migrants/Migration-Skills-Assessment/MSA-StepByStep-Guide to review their comprehensive step-by-step guide. I have public relations bachelor degree and hold Turkish nation. I want to permanent visa for work in Australia. Any changes for me? Is it possible even though you did reach the minimum points and still not invited for the next few years? I’ve known few friends that they already submitted their EOI last year and yet they are not invited. It does happen sometimes Paul though it’s very dependent on the occupation and the occupation ceiling allocated against this particular role. hi I have applied for EOI under 190 for skillset 224712. My current points are 70. I am nearly 39. what should i do to ensure i dont miss out on the points for age next year. I am running behind time. I do have my cousin in Australia, if they sponsor will that be considered for additional points ? I am doing a family visa, does it qualify if my husband does skillsassessment and have an IELTS score of 6.5 ? My brother has got his PR as skilled visa in September 2016 while in india and he will be shifting to australia in August 2017.Can i get sponsorship points if I apply in July 2017 and how many ? Hi sir currently i am in last semster of Mcom Marketing from Charles sturt university sydney and i want to get PR in australia. what are my chances and what are the available options for me to apply for PR. Your suggestions will be appreciated. Hi Rizwan. There are many variables, see my comment here for more info.